"We all have a book inside us, whether we choose to write it or not. For as long as I can remember, a book has bubbled inside me . Ever since I was ten years old and wrote plays for my maternal grandmother, Nan, and her little Italian lady friends, I enjoyed writing. I see them gathered in the living room sipping coffee and chattering in Italian. I never understood a word but I still feel their fascination and loving attention as they hushed each other when I stood in the archway to announce a play would begin. As I grew older and began facing life with all its complications, I’d grab a pen and pour my feelings into a journal. I had stacks of spiral notebooks filled with the heartaches of relationship failures, the exhaustion of being a single parent, the terror of living with and loving an alcoholic son; heart-wrenching losses . . . my Nan . . . my best friend, Judy . . . my beloved father . . . the uncertainties of my own cancer diagnosis. Journaling became my pathway to healing, capturing my moments of need, longing, creativity . . . my life. These journal entries morphed into vignettes as I followed my dream to write my story. 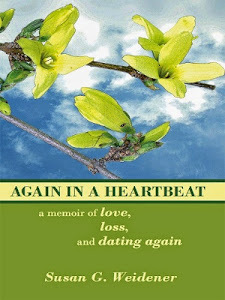 In 2009, I started taking memoir workshops with Linda Joy Myers through The National Association of memoir writers (NAMW) and began my own journey of the heart into my story, the story only I can tell. These vignettes have been shaped into a bigger story, my memoir-in-progress, now in the first revision of the first draft stage. Often times when I sit down to write, the story I intend to write does not end up being the story I write. The story reveals itself to me in the writing, when I listen to the whispers in my heart. Flashing back to those plays acted out in front of Nan and her friends is heartwarming and fills me with validation and inspiration to keep writing through the harder parts. For years I held on to the guilt of making poor choices and putting my children through so many upheavals as a result of my choices. Writing my memoir has helped me to forgive that young woman and believe that she acted in good faith. In attempting to capture the essence of my characters’ personalities and the impact they have had on my life, I have gained new insights into their behavior. 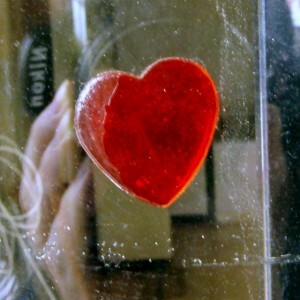 Forgiveness is freedom and my heart feels lighter. When I recreate a scene from my past and feel, deep in my heart, that I would never do the same thing today, I realize how far I’ve come. Writing my memoir has helped me to heal the painful parts of my past that I have carried around for years. Her story “The Stone on the Shore” is published in the anthology: “The Woman I’ve Become: 37 Women Share Their Journeys From Toxic Relationships to Self-Empowerment” by Pat LaPointe. What a heartfelt blog about the incredible journey into the soul that memoir writing demands. Kath,I can just picture you as a child writing stories to entertain your Nan. Now after a lifetime of detours, those stories will come to life again on the page. I can't wait to read your memoir, Kathy. Susan, thanks for sharing another great voice in your Writing Circle. Thank you, Pat. I agree that Kathy's journey is inspirational. I, too, look foward to reading her memoir, as well as teaching a workshop with her and giving our writers both inspiration and practical advice on how journaling can open doors to a journey of the heart. Susan, it is such an honor to be your guest. I appreciate your support and generosity and am thrilled to be co-facilitating a workshop on journaling with you. Reading your two memoirs was not only entertaining but it was educational for me. Your honest and believable voice made me feel a little braver about digging deeper. I do think journaling has helped me to find that voice and stay motivated to keep writing. Thank you for all you do. I have looked on at The Women's Writing Circle from afar and visualized being there. Dreams really do come true! It is my pleasure to feature you on the Women's Writing Circle. Thank you for all your help and support this year - the wonderful reviews you took the time to write about my memoirs . . . in getting the word out about my story and John's in hope that it might help others going through similar journeys. I know, too, our women writers will love meeting you! 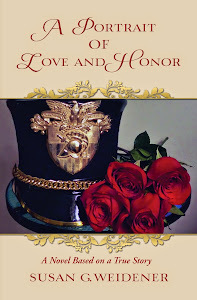 Kathy, not only have you been on a journey of the heart but you also put your heart into all that you write and share. This is evidenced here. Once again, I'm delighted your realm is spreading! Susan, thanks for hosting Kathy today. She knows, and I will say again, I look toward her as my inspiration. Welcome and thank you, Kathleen. Your voice and inspiration will help us cut through and synthesize both the clutter and the important in our lives. Thank you Edda for stopping by. I appreciate your comments. Journaling has always helped me "cut through the clutter" of my feelings and life events to find clarity and focus . Best wishes! I'm half way through my memoir, which consists of twelve stand-alone stories about my solitary move to Alaska at age 26, to 32 years later, still inspired and rooted to the land. I have struggled with one particular stories for several months, and finally decided to write poetry for a while to free up my mind. 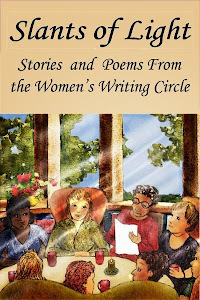 Enjoy reading Women's Writing Circle. 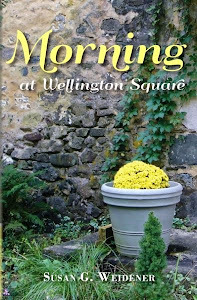 My second memoir, Morning at Wellington Square, has been likened to a series of vignettes, each offering up a "lesson" at the end. I never thought of it that way, but apparently that is how it struck some readers and I agree. The key, for me, was drawing the stories together to produce a compelling overall narrative. This technique of vignettes creating a larger whole is something I will be presenting through the National Association of Memoir Writers in March. I hope you can join us for that discussion. Meanwhile, I look forward to reading your stories about Alaska and the courage of an independent woman to move there by herself. How fascinating a setting, too, offering up to the reader a place not many people get to see. Your discussion reminds me that writing is so individual and we need to trust in the process that speaks to us, whether it be poetry, journaling or writing vignettes. For me,the key was to just keep writing and the story seems to reveal itself if I don't get in its way. I'll leave you with a quote I just read this AM that your comment,Monica, on a difficult scene prompted:"It's when what I write scares me that I know it's right." (author unknown)Best wishes on your memoir and Susan, I'm looking forward to your NAMW presentation. Sounds fascinating. Hi Kathleen and all my fellow writers. I am so glad to have you all out there and honored to know you. My name is Jan. This is my first try at social media. 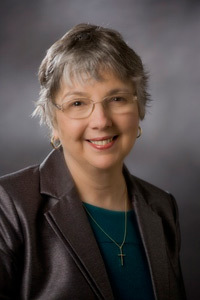 Kathleen, I am so thrilled that you will be teaching a workshop and visiting the Circle. I feel so blessed to have the opportunity to experience the WWC firsthand. I feel something very deep in my heart and soul as I read the comments. Thank you all for contributing to the Circle from about the globe. I have so much to learn.